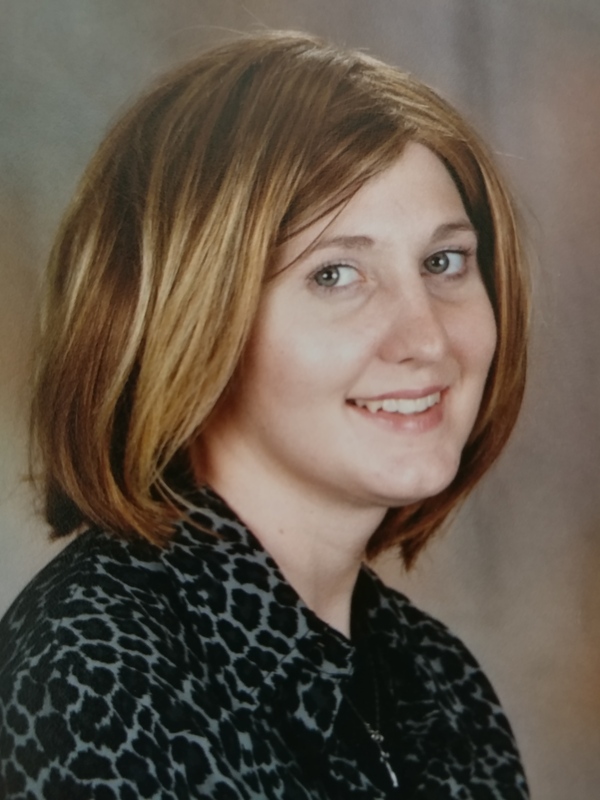 Shelly (Blandford) Mundell, age 36 of Canton, passed away peacefully Saturday, December 2, 2017 at Akron General Hospital. She was born February 15, 1981. She was a 1999 Louisville High School graduate and studied early childhood education at Kent State University. Shelly was a loving mother who was devoted to her daughters and husband. Shelly loved her family, sharing her miraculous story, and reading scripture. She was a member of Greenwood Christian Church. Shelly’s fortitude and faith were a blessing and inspiration to us all. She never hesitated to share her message of resilience and hope with fellow cancer survivors. By the grace of God, she overcame insurmountable obstacles in her seventeen year battle with cancer, and now, she rests in the hands of Jesus. Shelly was preceded in death by her grandparents, Harry and Majel Adams and Clyde and Kathleen Blandford. She is survived by her husband of 11 years, Randy Mundell, daughters, Abigail Faith and SaraJo Grace; her parents, Barbara Blandford (Charles Ley) of Canton, and Robert Blandford of North Benton, Ohio; her siblings, Chris Blandford (Katie Martin), Kelly Blandford McConaughey, and Robert (Beverly) Blandford II; her nieces and nephews, Ahmie Majel Bah, Gavin Blandford, Grady Blandford, Kyle Hoover, Kaylah Mundell, Amanda Mundell, Dustin Mundell, Brett Mundell, Jordan Mundell, and Jeremy Mundell; and numerous aunts, uncles, cousins, friends, and extended family. We will celebrate Shelly’s life at Greenwood Christian Church on Wednesday, December 6, 2017 with Pastor Tony Amerine officiating. Visitation/Calling will be at 5:00pm and a Celebration Service will begin at 6:00pm. The service will be followed by lite refreshments. In lieu of flowers, donations for the family can be made in Shelly’s name to Greenwood Christian Church, 4425 Frazer Ave. NW, Canton, OH 44709. Messages of condolence for the family can be shared at www.heritagecremationsociety.com. I have fought the good fight, I have finished the race, I have kept the faith. 2 Timothy 4:7. Shelly I will miss you dearly. we were cousins first but friends to. I loved it when we laughed together over Aunt Majel. She made us all so happy to be such a big family. You will always be in my thoughts and my heart. You have been a inspiration to all us. I will miss you dearly cousin. I love you to the moon and back. My memory of Shelly is that of a beautiful Christian woman at Greenwood Christian Church who dearly loved her Lord, family and life. Please accept my heart-felt condolences to Randy, Abigail, Sarajo, and family/close friends. Shelly is a tribute to Christ by walking in His shoes! May blessings/memories of her be full and running over. I am so very sorry about the loss of your sister. Her obituary was beautiful – she sounds like she was a blessing to everyone she touched. May God rest her precious soul and wrap your whole family with wonderful memories and His peace.